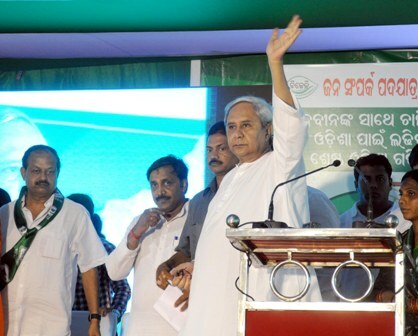 TNI Bureau: CM Naveen Patnaik acted in a hurry to announce a mega drought package for the farmers who suffered huge losses in recent months. Farmers who have sustained crop loss of 33 percent and above, will get agricultural subsidy at Rs 6,800 per hectare of land in rainfed/non-irrigated areas and Rs 13,500 per hectare of land in areas under assured irrigation. While Rs.1,000 crore will be spent to mitigate the drought situation in the state, farmers affected by drought in the Kharif season will be provided fresh financial assistance for Rabi cultivation during the current Rabi season. Short term Kharif loans will be converted to medium term loans in drought affected areas in cases of 50 percent and above crop damage. Tuition and exam fees in govt and aided schools and colleges in drought affected areas will be waived. In addition, 40,000 pump sets will be provided through Odisha Agro-Industries Corporation with 50% subsidy limited to Rs 15,000 to the farmers.